You could spend a whole year focused around holiday projects for preschool children. With CDs as the base material, there are many things you can make for Christmas, Valentine's Day, St. Patrick's Day, and more. Many people have old CDs they never use because they now listen to music with an MP3 player. You can turn those shiny compact discs into festive holiday-themed crafts while teaching children a lesson about recycling at the same time. The shiny side of a CD looks fantastic when surrounded by lights. This is why ornaments made by gluing together two CDs, shiny side out, look so beautiful surrounded by Christmas lights. Teachers need a bit of prep work for this project because you use hot glue to attach the two discs together. Also, cut about 9 inches of thin ribbon, make a pretty loop, and hot glue the ends to the top of the ornament's back side. When the children arrive, let them glue a Christmas tree cut-out onto the CD. 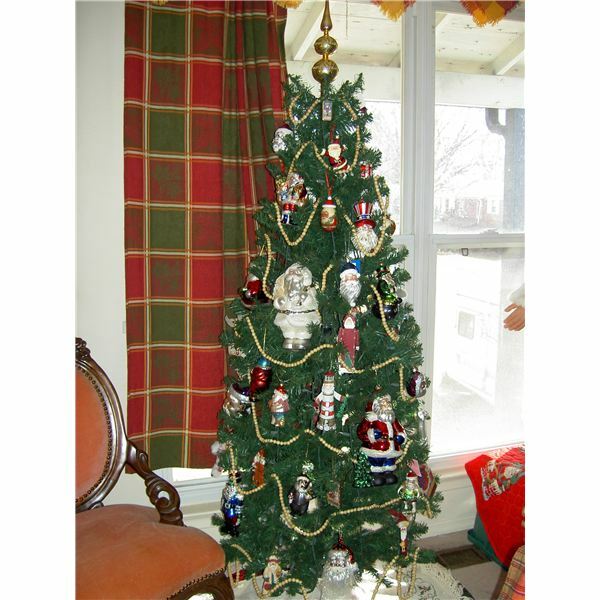 Then, provide plenty of decorations for the trees. Let them glue small faux jewels and tiny pom poms to the ornament. Valentine's Day projects can include little gift creations for friends and loved ones. What better gift for a parent than a photo magnet of their little love-bug? Use the CD as the hard background and let the children apply peel-and-stick magnets to the non-shiny back. Then, let them glue a three inch cut-out heart to the center of the disc. You also need a small picture of the child two inches tall or less. Glue the picture to the center of the heart. Then, give the kids Valentine-themed foam stickers and let them decorate the magnet any way they'd like. Teachers must break a CD into two equal quarters before the start of class. The edges and corners are sharp after breaking, so use the white electrical tape to cover the sharp edges. Then, when the children arrive, show them how each CD half shines like a rainbow. Let them glue their half to a piece of blue construction paper. Then, either let them draw their own black pot, or give them black cut-out construction paper pots to glue to the end of their "rainbow". Once you have the pot at the end of the rainbow, add the gold. The kernels of corn represent the gold. Using kid-safe glue, let them adhere their own gold to the pot. 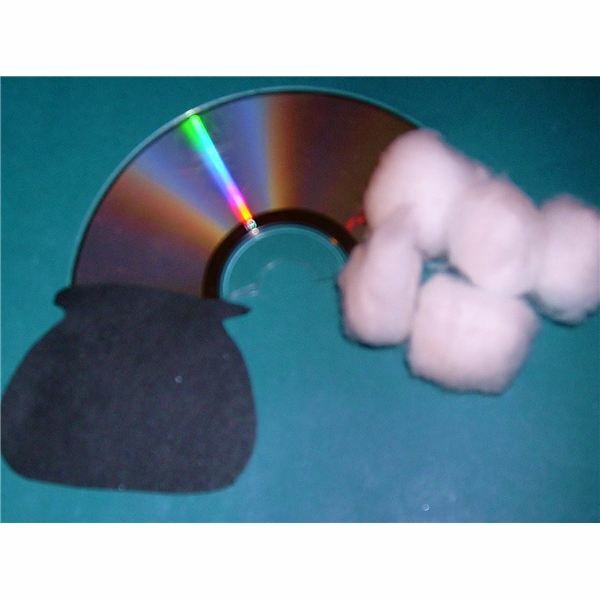 On the other end of the rainbow, have the children glue three or four cotton balls onto the CD to represent clouds. The pot of gold and clouds hide the protective white electrical tape on the sharp ends. Using your imagination, the sky's the limit with what you can do with an old CD. Holiday projects for preschool children with CDs look flashy because the discs shine brightly. Try these Christmas, Valentine's Day, and St. Patrick's Day projects in your classroom for an eye-popping craft, and then continue your creativity throughout the year. Rainbow craft image taken by author.